It is that time of year when many balloonists pack up their trucks and pilgrimage to New Mexico for Balloon Fiesta®.1 We made that pilgrimage ourselves for 13 years, 5 years as crew and 8 years as pilots and we have returned twice for a few days during other years. 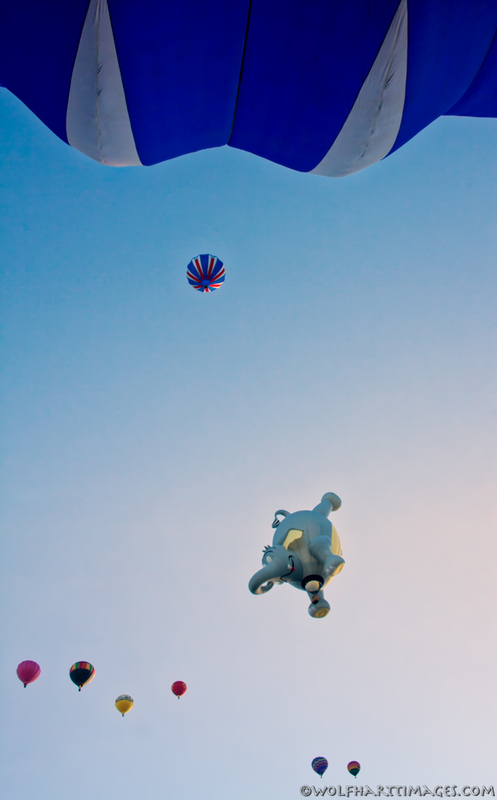 As a balloonist it is one of those things you have to experience at least once. I know flying there isn’t what it was in the days that we attended. I could launch from the field and count on ending up at Sevenbar when the Albuquerque box was there and if there wasn’t any steerage it would be the gravel pit or Renaissance Center. All those places are developed or not friendly anymore from what I hear. The things that I imagine are the same would be the camaraderie, the green chile stew, the traffic and the crowds. As a spectator it is a sight to behold, hundreds of balloons will launch at a time in waves making it the most photographed event. If you want to attend you need to plan almost 1 year in advance to get a room at something better than the StageRoach motel, where we almost stayed 1 year before they started comp-ing rooms for pilots. When the floor started moving we packed up and left faster than you have every seen 5 people move. Most of my Fiesta photos are on un-scanned slides but there are plenty of great and not so great photos already online. 1 You will never hear another balloon rally calling themselves a Balloon Fiesta® because Albuquerque registered the name.